Chosen by champions - the Polar GPS multi-sport watch V800 is training computer and activity tracker in one. For performance-oriented and ambitious athletes, who want to achieve their best form and their limits. 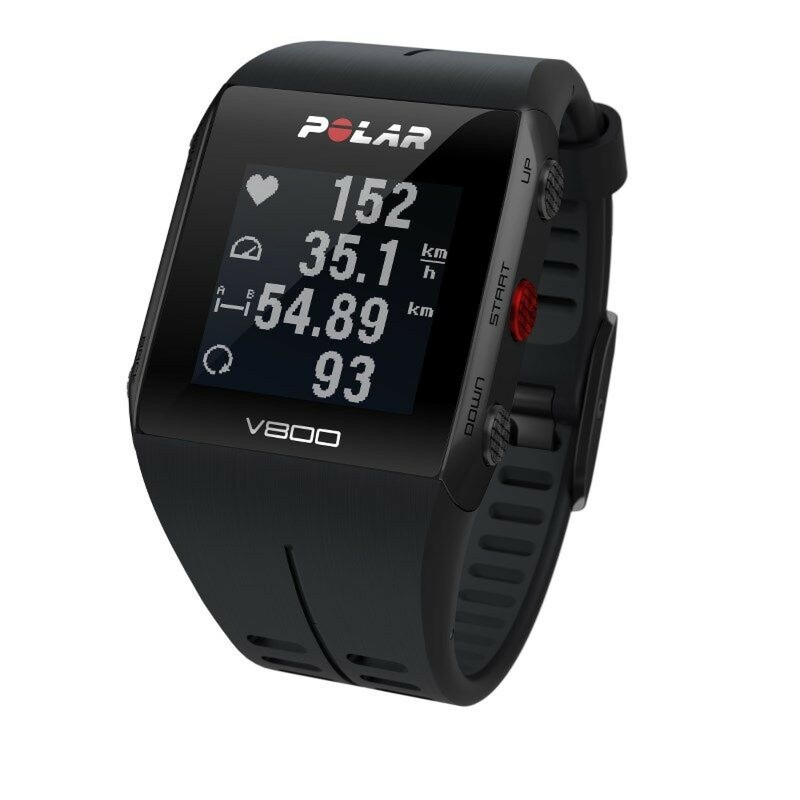 Due to the waterproof feature and the swim functions (of it displays heart reat while swimming), the Polar V800 training computer is also ideal for triathletes ! Polar offers the V800 HR, a new GPS multi-sport watch, which gives important knowledge about daily activities and recovery times even out of the workout. "Around the clock tracking" is made possible by the same measuring technique, which is already used for the Polar Activity Tracker Loop. The Polar V800 works as sport/pulse watch and as 24/7 activity tracker: Besides covered steps in daily life, the Polar GPS multi-sport watch V800 detects rest and sleeping times for a holistic picture of training and daily-life movements as well as regeneration. The Polar V800 training computer registers even smallest daily-life activities in practice and precisely calculates the time, the athlete needs for regeneration between two intensive training sessions. The Polar V800 training computer informs about most important training data, including heart rate, even while swimming. While exercising, the Polar V800 offers the typical functions of a sport watch of top quality. Exact information about route, speed, and distance are made available via an integrated GPS. Altimetry is also done on the basis of GPS. Another feature is the fact that the Polar V800 is also suitable for swimming. According to information of the manufacturer, the watch is waterproof up to 30m. The multi-sport function helps to select the appropriate sport and provides different sport profiles for supporting the training. This makes the Polar V800 very interesting for triathletes. Two transmission frequencies: Bluetooth Smart 4.0 and the analogue 5 kHz transmission. Polar offers transmission via Bluetooth Smart 4.0 for the V800 for the first time. This is how the Polar V800 can be extended in its functionality via the Firmware Updates as well as the compatibility to Fitness-Apps. Training and activity data, i.e., can be transmitted via Bluetooth Smart from the multi-sport watch to the free Polar Flow App or the free Polar Flow Webservice. All data aer competently encoded on both platforms, so that the training is planned and analysed in detail. The analogue transmission of data provides that the Polar GPS multi-sport watch V800 also works on or under water. Athletes are not only convinced by the high functionality of the Polar V800, but also of the high-quality workmanship of the sport watch itself. The high-resolution display with its high scratch resistance and the compact aluminium casing with stainless steel details can also be emphasized. 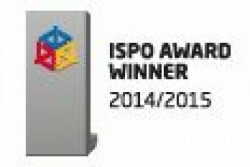 All in all it is no wonder that the Polar training computer V800 was awarded with the ISPO AWARD 2014/2015 in the category "technic small devices" at the ISPO in Munich. Impressive display, viewable under alle conditions. Precise and fast GPS. Suits my every needs as a training watch.